Introduces the true story of Victorian artist Benjamin Waterhouse Hawkins, who built life-sized models of dinosaurs in the hope of educating the world about these awe-inspiring ancient animals and what they were like. Barbara Kerley's award-winning biographies?including WHAT TO DO ABOUT ALICE? and THE EXTRAORDINARY MARK TWAIN (ACCORDING TO SUSY), both illustrated by Edwin Fotheringham, and THE DINOSAURS OF WATERHOUSE HAWKINS and WALT WHITMAN: WORDS FOR AMERICA, both illustrated by Brian Selznick?are consistently praised for their lively prose, meticulous research, and artistic presentation style. Kerley lives in Portland, Oregon. You can visit her online at www.barbarakerley.com. 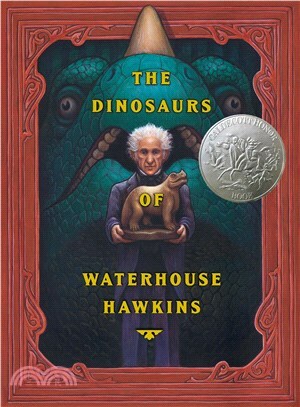 In addition to The Invention of Hugo Cabret, Brian Selznick is the illustrator of the Caldecott Honor winner, The Dinosaurs of Waterhouse Hawkins, and The New York Times Best Illustrated Walt Whitman: Words for America, both by Barbara Kerley, as well as the Sibert Honor Winner When Marian Sang, by Pam Munoz Ryan, and numerous other celebrated picture books and novels. Brian has also worked as a set designer and a puppeteer. When he isn’t traveling to promote his work all over the world, he lives in San Diego, California, and Brooklyn, New York.